The Grinch is one of the most popular draws at Christmas every year. 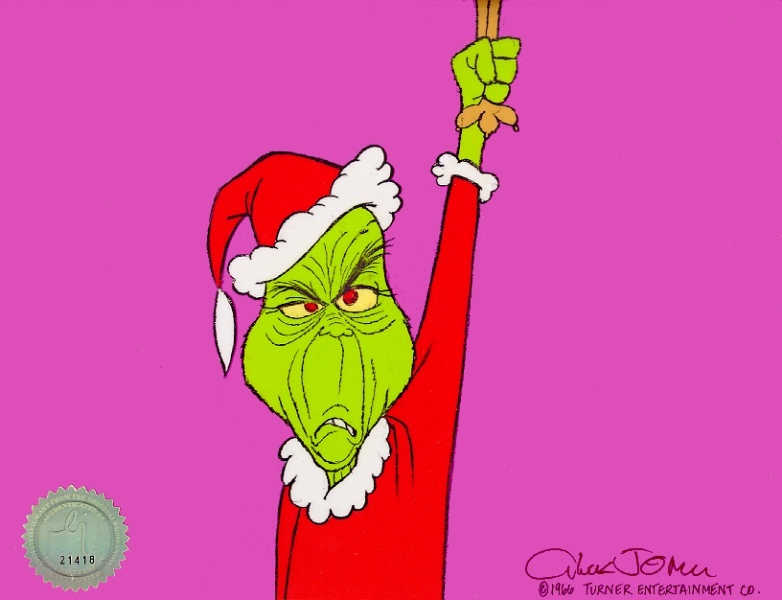 This unsavory character, with his desire to squash the joy of all the Who’s in Whoville, has been entertaining audiences for more than thirty years. I remember watching him when I was kid and thoroughly enjoying every minute every year. His evil deeds may have been comically portrayed but it is his change of heart at the end of the show that always melts hearts, even his. I wasn’t a big fan of the Jim Carrey remake of this classic. I think Dr. Seuss rolled over in his grave when this film came out, and in no way did Carrey’s Grinch come close to emulating the original animated cat. There are some things that shouldn’t be tinkered with and this is one of them. The Grinch’s Theme is as popular this time of year as anything out there. I love this song and I love the video that goes along with it. It’s one of those tunes that you can’t forget and you’ll be humming it when you’re ninety. He may be a black banana with a greasy black heel but he’s beloved the world over… and this is why.